When I was in primary four, my sister and I made homemade gifts for each of our teachers for the end of term. Forget the cliché of a shining red apple come summertime, we rolled up our sleeves and made what I suppose you could call a kid-friendly rocky road. A very simple blend of crushed digestive biscuits, tooth-suckingly sweet condensed milk and shining glace cherries, the recipe just calls for it to be stirred in one big bowl together with those baby white and pink marshmallows. It’s a recipe that my mam used to make when she was a teenager and it was adopted for many a bake sale when we were younger. On this occasion, we rolled the mixture into logs and refrigerated then covered in chocolate before dotting mini marshmallow spikes along the top. Marshmallow hedgehog presents – they were a hit let me tell you. As a little one, we were always encouraged to make things by hand to make gift giving more personal, a belief I still hold today. Of course, there are only so many toilet roll tubes made into Celtic football player pencil holders my uncles could take, but the feeling that you have created something so personal just for that person really is unbeatable. It’s why I took to making cakes for my friends in high school on their birthdays; always a simple Victoria Sponge affair sandwiched with jam, topped with water icing and blobby melted chocolate piping to spell out Happy Birthday. Handing out slices in the playground seems to have morphed into my weekly Tupperware box filled with weekend baking goodies for my work colleagues on a Monday morning. Making people smile with a little gesture makes it worth any effort involved. Which is why making these marshmallows as gifts make the perfect feel good return as they are so simple to make. For relatively little effort, this pillow soft mixture turns into a mountain of fresh marshmallows that will evoke a smile from any adult who ate Flumps as a kid. Of course these marshmallows aren’t as sickly sweet as those helter skelter twists, but light as a feather covered in a light dusting of cornflour and icing sugar. 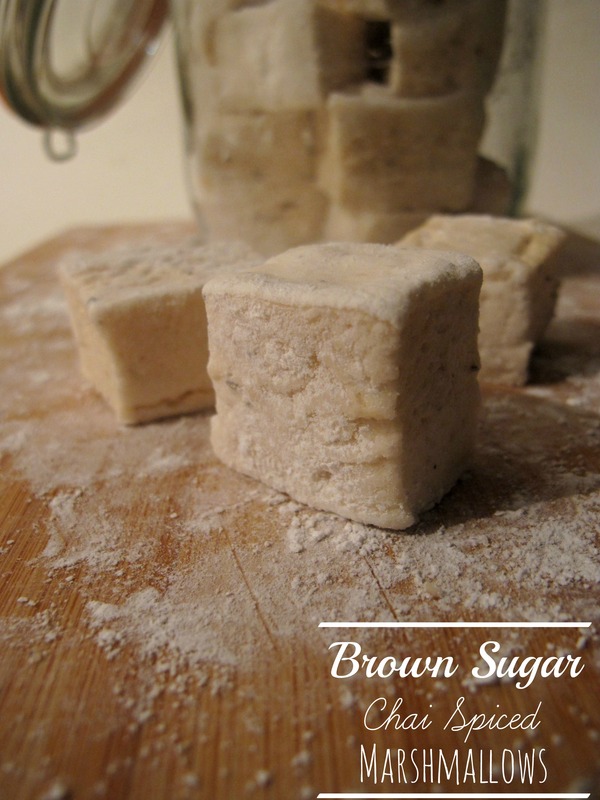 To make these marshmallows more winter appropriate, I added brown sugar for a deep caramel flavour that works so well with gently spiced notes from chai tea. Sliced up and served with a cup of coffee, they make for the perfect mid morning treat but melting into pools on top of a mug of hot chocolate would be my strictest advice. And if you know of any teachers that deserve a homemade gift, you really cannot go wrong with marshmallows – even if they are made to look like hedgehogs. 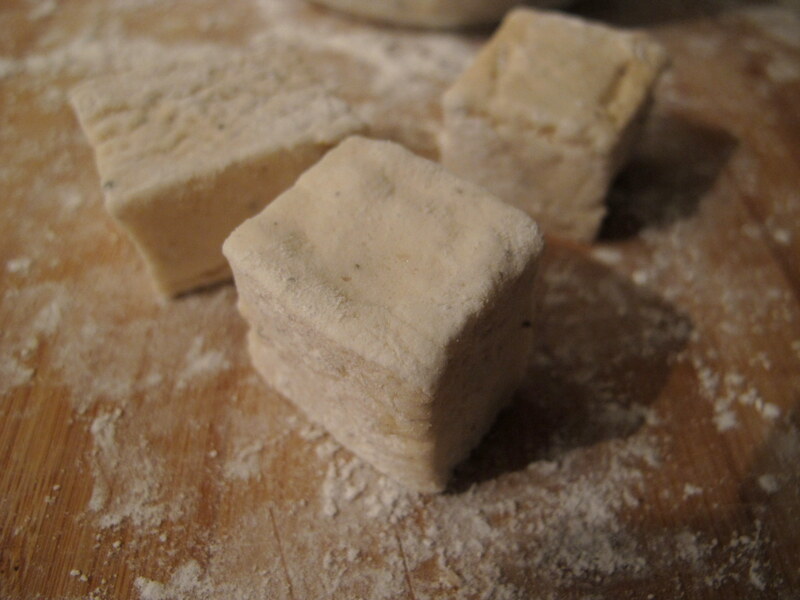 Tip: I’ve made these marshmallows twice now, but the third attempt with vegetarian gelatine was a bit of a fail. As it is such a different consistency to regular gelatine, I would advise you to seek out a vegetarian recipe rather than adapt this one. 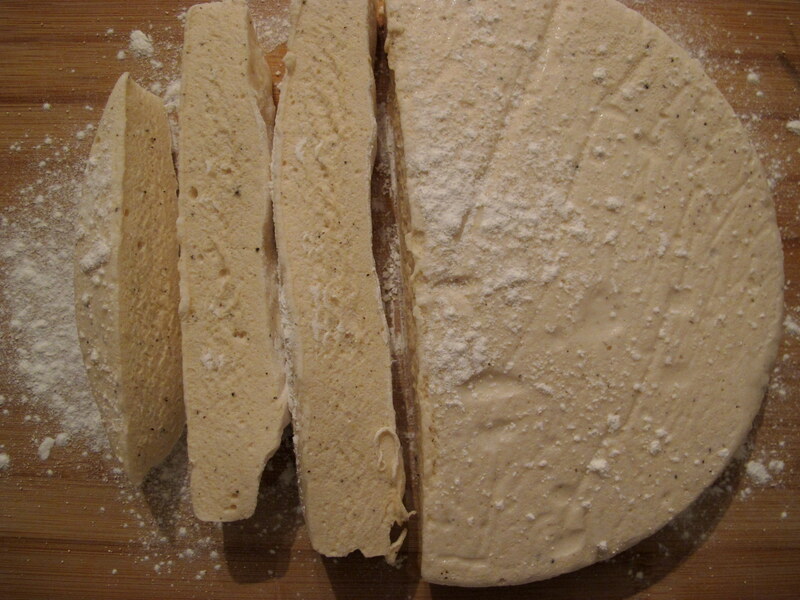 Prepare three 20cm sandwich tins by lightly greasing with oil (I used grapeseed) then lining with baking parchment. Prepare your marshmallow dusting by sifting together the icing sugar and corn flour then add a little to each tin, shaking it around until the tins are nice and dusted. Set aside this mixture as the rest will be used later to coat the marshmallows. Add the balloon whisk attachment to a stand mixer and place the three egg whites in the bowl but don’t whisk yet. Pour the gelatine into the water and set aside – it will go spongy. In a saucepan, combine the syrup, sugars and remaining water and place over a medium heat. Start whisking the egg whites on a medium speed until you have soft peaks. Keep a sugar or digital thermometer handy to check the temperature – you are looking for hard ball on a sugar thermometer or 121oc on a digital one. Once the desired temperature has been reached, carefully pour the syrup down the sides of the whipped whites on a low speed. Once the sugar syrup has been used up, scoop the gelatine into the saucepan and melt down using the residual heat. Stir the contents of the chai teabag into the gelatine then pour into the mixer still on a low speed. Increase to high and whisk for 4-5 minutes. The marshmallow should almost reach the top of the bowl and will become fluffy. Scoop into the prepared tins and shake to level out. Leave to set for a few hours. To cut, lightly oil a knife and cut into wedges or squares. Dust with the icing sugar mix then store in an airtight box with the residual powder for up to a week. Thanks very much, I was surprised too! Gotta love channeling your inner blue peter! Thanks for the vegetarian consideration -as one of said persuasion, marshmallows are one of the few things I miss. Your recipe may not be one I can use, but it’s great that you bother to let us know. Thanks very much Claire. I thought it would be a straightforward substitution but it seems it’s a lot harder to create vegetarian marshmallows as was pointed out to me on Twitter. Thanks for taking the time to comment!